In Germany, the „Pop Tops“ made themselves comfortable in the charts with their hit „Mamy Blue“. At the same time Eva scurried with a tray to the next table - breakfast time in winter 1972 in the guesthouse in the heart of Saalbach. In addition to the family bed and breakfast, Eva indulged in her beauty salon in the pedestrian area of ​​Saalbach ladies from all over the world. It’s the year 1979. Skiing is chic and trendy like never before. Saalbach becomes international. Eva knows that, after all, she was one of the most respected ski instructors in the valley - a vocation, one might say - and she experienced trends and wishes directly from the guests. Then Hans came into her life and the eva, story took its course. 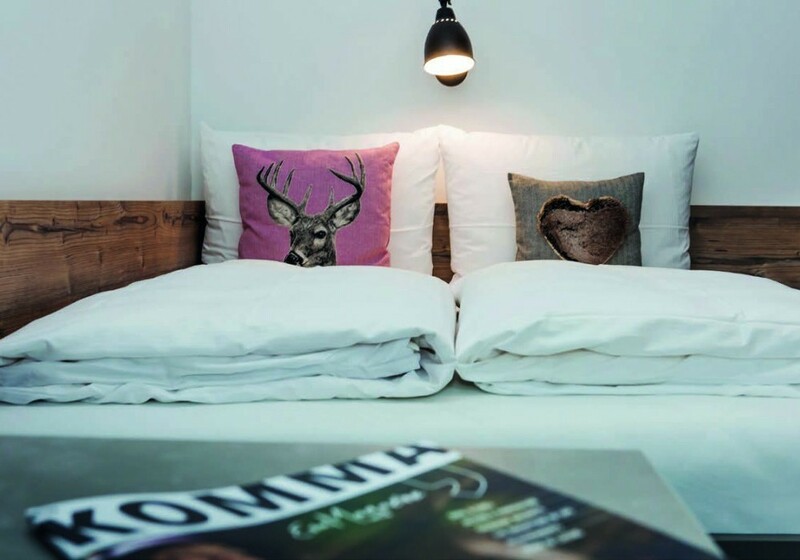 Decades later and one daughter richer, the eva,VILLAGE opened its doors in 2006 and with the parent house eva,GARDEN and the eva,ALM a discreet KOMMA emerged in the middle of Saalbach. A comma behind everyday life, a break, time to take a breather and above all to linger. Of course, with comma we mean the symbiosis of the companies - alpine, cool, chic! In order to maintain this feel-good atmosphere, it requires many, almost infinitely and diligent hands. And there, the true stars enter the ring - often hidden in the background, and still with passion and for many "seasons" in the eva, hotels: the staff! 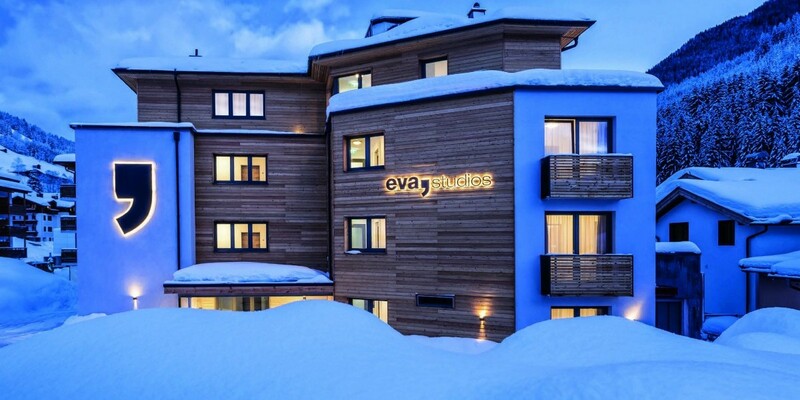 Our employees are important to us and therefore the Unterkofler family decided to build the eva,STUDIOS - the slightly different staff building in Saalbach. And why different? Quite simply: the eva, vibes are also felt in the apartments for the employees. 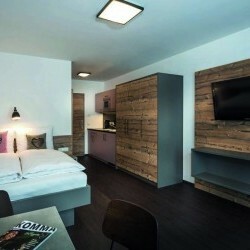 Alpine, cool, chic - as for our dear guests. Our colleagues should feel comfortable, with a place to retreat and where sometimes a certain normality may come. Altogether there are 27 studios in the brand-new coworker house. In different sizes and configurations with controlled room ventilation and heat recovery. We want sustainability in the eva, hotels, our bee colonies aren’t enough. Oh yes, and our staff building is barrier-free. 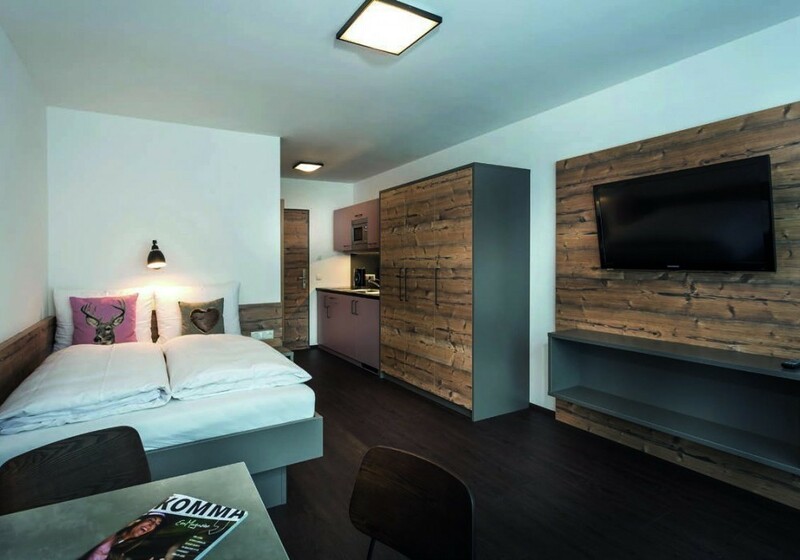 In the underground garage, the employees know their vehicles in safety even in the most adverse weather conditions and in the cellar compartments, mountain bikes, skis - and whatever else you need in Saalbach - can be stowed away. "We place high demands on our employees in our family-operated houses. For this we bring you a lot of trust and would like to offer our employees the new eva,STUDIOS a nice place to feel good, so that the team feels at home even during the season. The goal is to retain our employees in the long term! " Nevertheless, we want to get rid of one last sentence: THANKS to our employees!